Many organizations and business owners face fraud each year due to their employees or business partners. New entrepreneur startups and small businesses are more vulnerable. The risk of fraud has increased due to the advancement of technology and progressive development of the world into a global village. The increased awareness of technological developments and complex organizational structure requires corporations to incorporate internal anti-fraud approaches to combat fraud. According to 2014 research reports by global nation, organizations face 5 % loss due to fraud each year in which 85 % of serious fraud cases were committed by internal employees. Organizations should develop multi-layered fraud prevention strategies while keeping these statistics in view. Organizations and businesses should do the following 10 things when they suspect fraud. Fraud is scary and you will likely want to panic and react abruptly when you suspect fraud at your organization. You may terminate the fraudster on the spot or meet them head-on for confrontation. But these are harmful rather than good for the organization. Don’t react when you are emotional or angry. Prepare a plan, investigate, and do what is beneficial for the organization. Make strategies and policies to handle fraud before it happens. It is not preferable to overreact or have no reaction at all to a suspect. If you don’t react and take it easy, the perpetrator will think that they are free to do anything. Ignorant behavior towards fraud will make it worse and the perpetrator commit fraud without any fear of consequences. Always take action when you suspect the fraud but react logically. If you suspect fraud, don’t declare it until you have evidence. If you react without evidence, the fraudsters become alert. The fraudster will try to hide and destroy evidence if they know they are being exposed and you are keeping an eye on them. After suspecting something is wrong, don’t make it obvious. Investigate carefully, otherwise, you will not be able to get any evidence. Always maintain backup data of your organization’s financial dealings. Save on hard copies or hard drives. Get a copy of a hard drive of your suspect discreetly. Preserve all records of transactions, emails, payroll, and bookkeeping. Perpetrators often utilize this information, especially bookkeeping records, to commit fraud. Be mindful and prepare for hiring new personnel. Termination is the minimum consequence of fraud detection. Managers and executives are often so involved in the actual fraud itself that filling the new position can be challenging. Prepare yourself for such challenges. 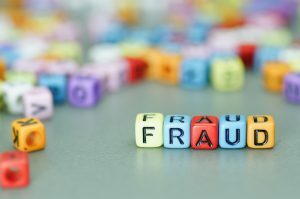 Fraud damages the image and reputation of the organization in front of the public, customers, partners and donors. Try to react calmly and defend your reputation. Resume trust of partners and customers by assuring them that the organization has taken corrective measures. Financial loss due to fraud is recoverable, but the reputation is not recoverable. Hire a certified fraud examiner to make policies for fraud prevention and detection. Your organization may try to save money by not hiring a certified fraud examiner but then will suffer a lot after an incident of fraud. Realize that money is not everything. The thing that matters more is the hard-earned reputation which can easily be damaged by fraud. Set an example by handling fraudsters with tight hands, otherwise, you may encourage others to commit fraud in the future. The penalties recommended after fraud are a civil lawsuit, termination, and criminal prosecution. Impose all three penalties severely, if possible. The employees will see that there is zero tolerance for fraud in your organization and they will face severe consequences if they go there. Don’t try to handle fraud on your own because it involves accounting and legal issues. Call a certified fraud examiner for help. They know where to get evidence and how to explain it to the legal system. Learn from an incident of fraud and prepare the policy for detection and prevention of fraud in the future. Fraud in business can result in major financial loss, wastage of time, and a ruined reputation. Fraud should be handled strictly when suspected. Employee Fraud Is More Common In Small Businesses—Are You Protected? Certified Payroll Software for Small Businesses How to Save: Methods to Save More and Spend Less!